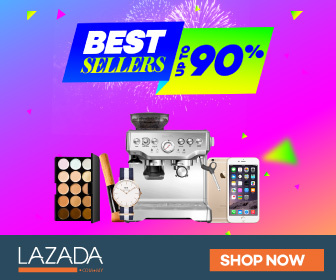 There are lots of beauty products available out there with a high quality and also a very high price. But sometimes I always coming back to the basic and local makeup brands, which cost much cheaper but still giving you a nice makeup look at the end. Chriszen is actually one of my favourite local brand. I have tried their early products, and I believe that time was around 2014. That was actually my first time heard about their products, which I was lucky enough to met their Founder, chit chat and had a cup off coffee together. She explained in details about their products, and yes I have become one of their fan since then. Last week I received these 5 items, which I was super excited and can't wait to try. 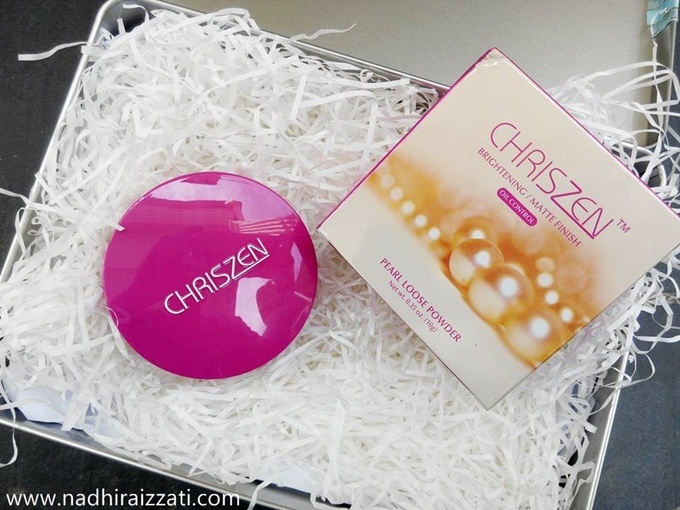 So the first thing I am going to talk about is the Chriszen Pearl Loose Powder. I use this powder after apply foundation on my face. 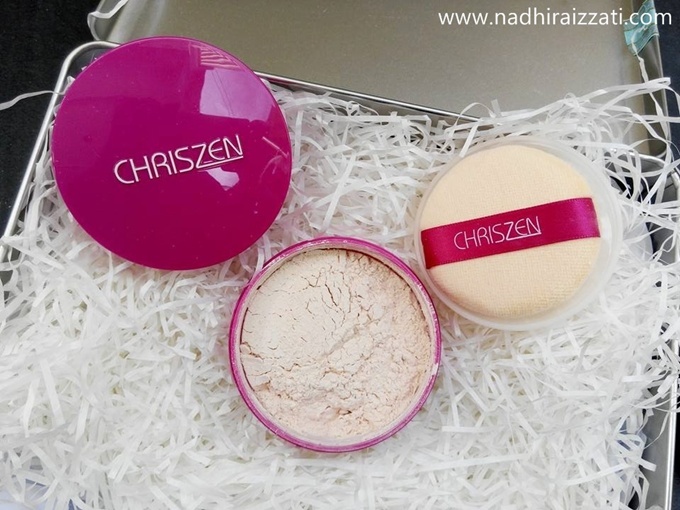 Loose powder can be very hard to apply sometimes with the powder fly all over your face. But I love how it gives a brightening and less shimmery looking skin at the end. Yes, it is long-lasting. I tried with only one application, and go out enjoying my weekend outside for 5-6 hours, and the loose powder really set my foundation, no oily or anything throughout the day. With the sponge provided, you can shake a little powder into the top of the lid and press the sponge on it, gently apply it all over the face. Or, you can just use any of your favourite powder brush, I think it is a lot easier to apply using face brush than a sponge (personal opinion tho). 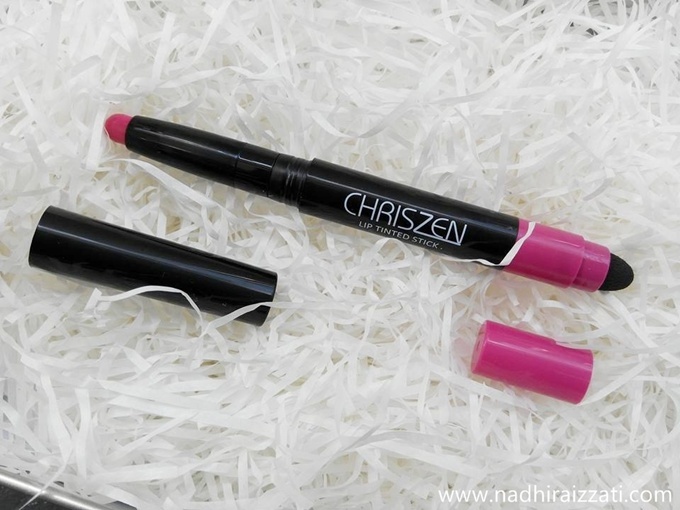 What I like about this Lip Tinted Stick is that you can actually create 2 types of lip colour that you prefer. If you prefer a nice light pink lip colour, you can put just a little bit of product on the lips, and blend it all over using the brush. 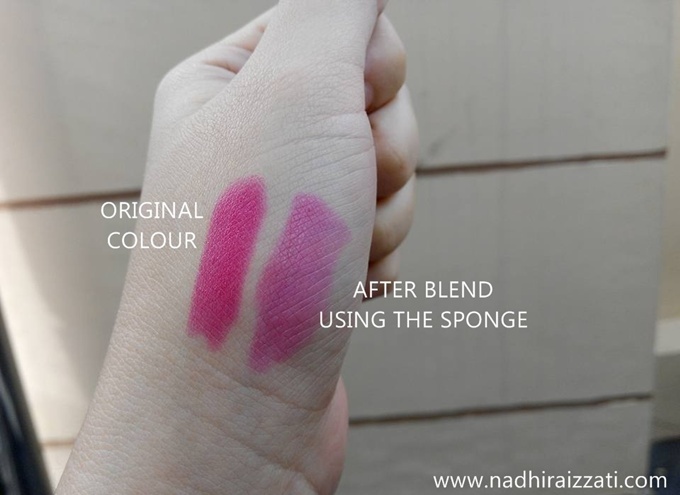 But I like the original colour, so I just apply it like I normally apply m lipstick on (without blending using the sponge). I love matte lipstick! I think matte lip product has become the makeup trend nowadays especially when you look on the Instagram, people tend to share more matte lip colours and looks so beautiful. 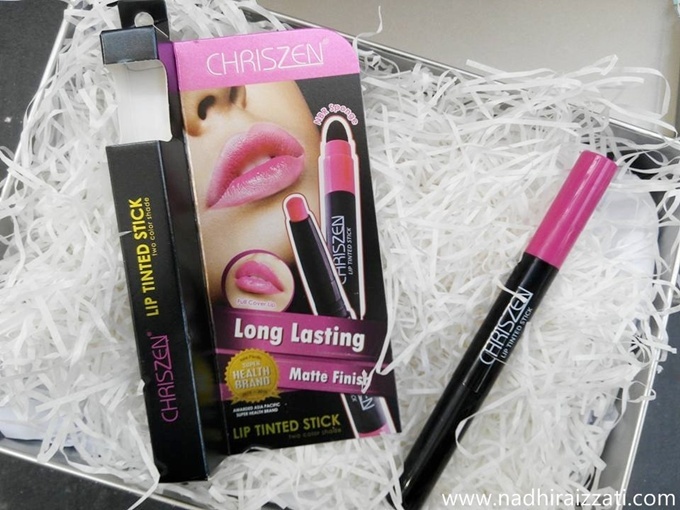 So this Lip Tinted Stick is so nice, I love the colour, I love how it glides smoothly and perfectly on my lips. Is it really long lasting? Yes! I tried this lip product before, going out with my friends for a few hours, eating KFC (fried chicken, french fries, rice, drink soda, and etc....) and when I go back home, the colour was still on my lips. So nice! 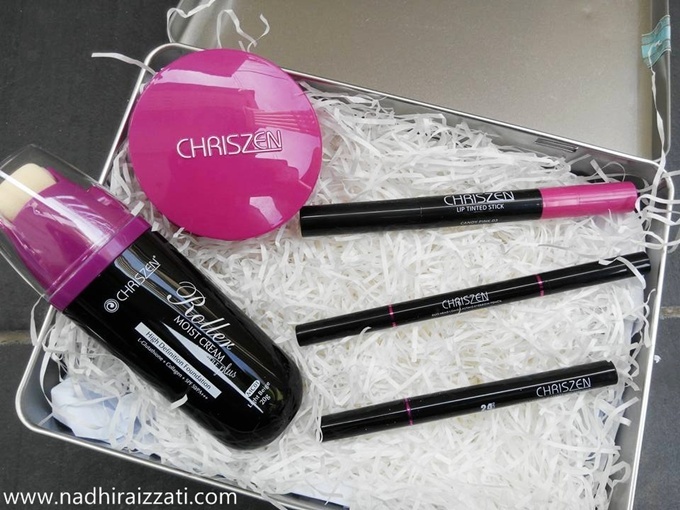 The blackest black eyeliner (even darker than the Chriszen gel eyeliner). 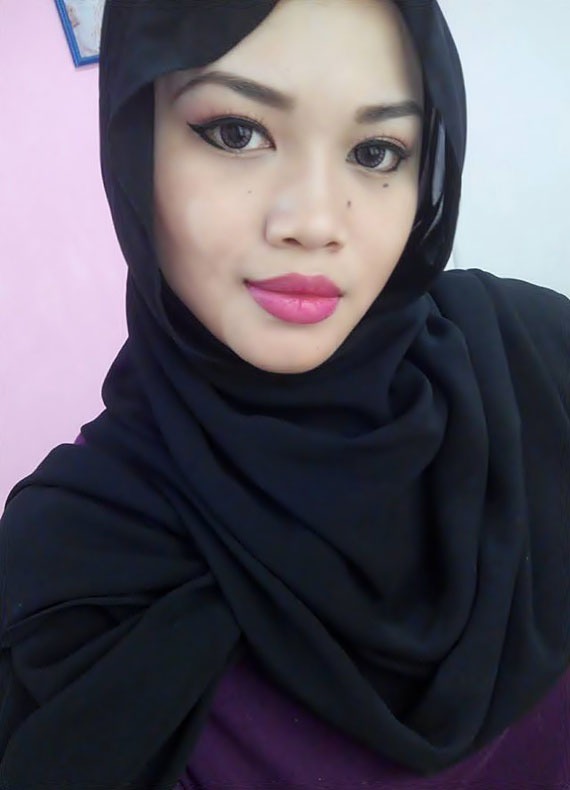 If you are decide to create a dramatic eye makeup, and looking for a very intense black eyeliner, this might be your choice. They came up with this eyeliner and make it easier to use especially for beginners. 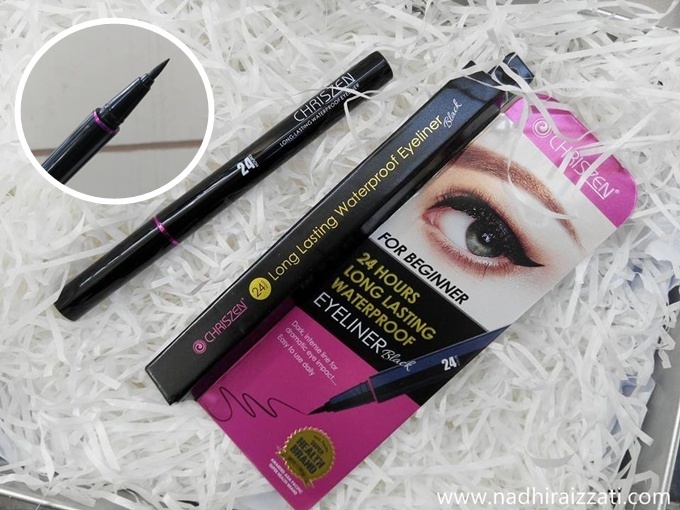 Surprisingly this product is very easy to use, I mean, the brush is very sharp which is nice, helps you to have the full control when doing your eyeliner. 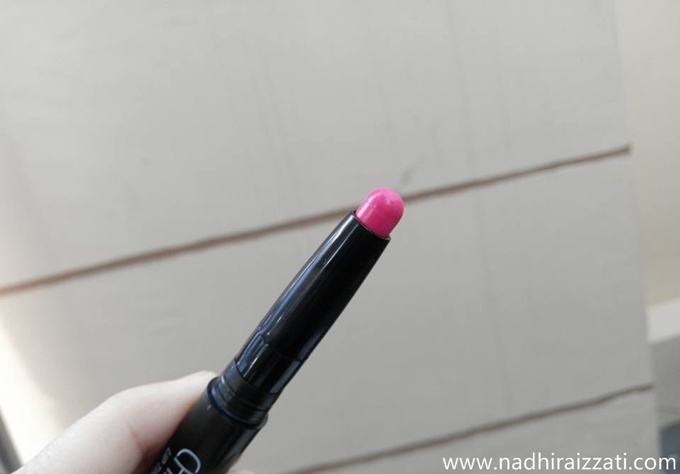 I tested the smudge-proof of this product, and yes it smudge-proof. If you watch my latest makeup tutorial on Youtube (Easy Makeup for Eid), you will see that I try to smudge the swatch at the back of my hand, and it doesn't moved at all! But I guess it is not 100% waterproof?? Because I poured a few drops of water and try smudged it, the swatch immediately washed out. Is it long lasting? Yes! It does stay all day, my wing eyeliner still look perfect after 4-5 hours without need to do the touch up. But just make sure you're not sweating here and there, otherwise your eyeliner will not look good. If you visit their website, you will see they have 3 types of colour available. Black, Coffee, and Latte. So as you can see, the one I have here is in the colour 'Coffee'. If you looking for the lighter colour, you might want to choose 'Latte' instead. The colour transferred very easily, which makes the application easier and I can draw my eyebrow without having any difficulties. 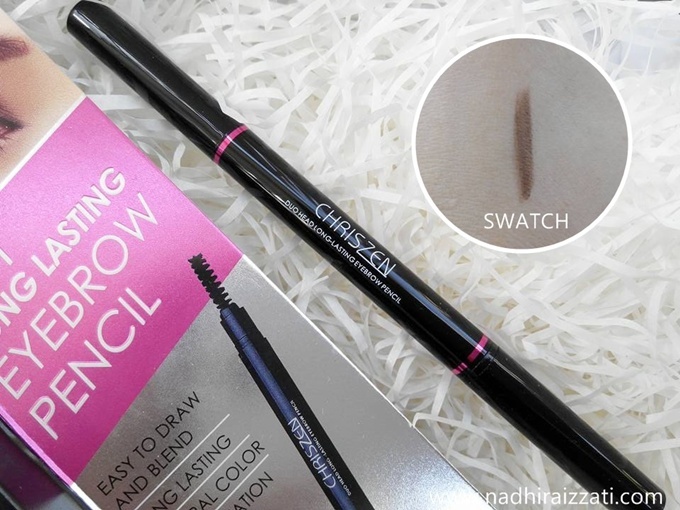 Plus, the shape of this eyebrow pencil is in triangle shape, very convenient for me to draw the shape of theeyebrows that I wanted especially on the tail part. 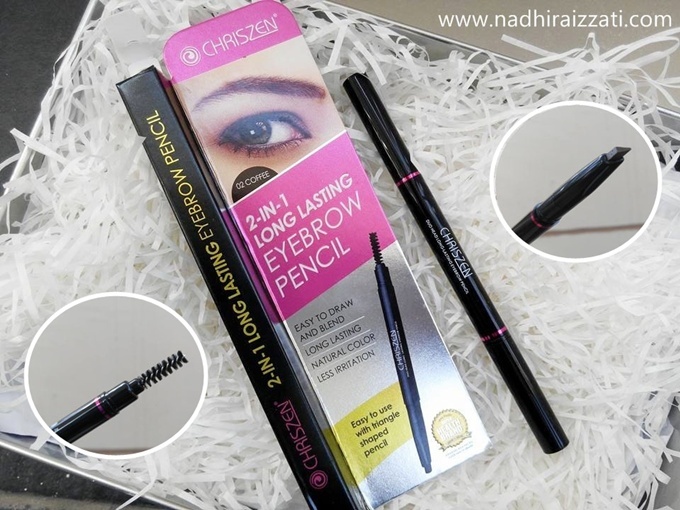 I bet beginners also will find it very easy to draw their eyebrow using this kind of shape (triangle eye pencil). I already did the review for this foundation. This is one of my favourite! It gives a very nice and flawless looking face at the end of my makeup and it stays all day. You can read my further review about it in here. Below are my photos of using all these 5 items mentioned above. This makeup look was actually for my latest makeup tutorial (Easy Makeup for Eid), you can basically watch it on my Youtube channel or simply click the video down below. The finish result will also be shown in the video as well, so don't forget to watch it if you want to know the after look using all these products.